Posted By Nathan On April 7th 2015. 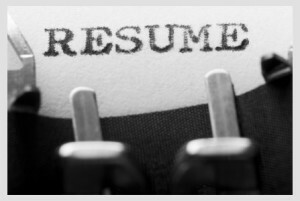 Under Blog Tags: new resume format, new resume models, new resume styles . 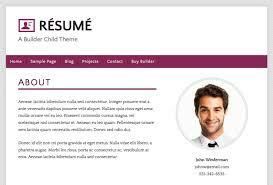 The new resume styles for 2015 are based on a development of functional resumes. The new move is to efficiency and information quality, rather than purely format based. There are several reasons for this more quality-controlled approach. First and foremost of the reasons for the demand for functionality is the ever-increasing scale and range of job application demands. In the multitasking environment, resumes are becoming more complex, and the need to sort and identify key skills has been increasing exponentially over time. The next, and arguably most important, reason in terms of information processing is the need to streamline and drastically improve the efficiency of managing applications online. In the past, software was to put it mildly not very efficient, couldn’t read some information, and in some cases simply didn’t do the job. Computer screening was not 100% reliable. That situation has now changed, and it is now possible to create much better, very dynamic resumes. The new resumes themselves are the other major reason for the rapid evolution of resume or branding statement resume styles. The new resumes, particularly functional resumes are far more competitive. This very high level of competitive content has been effectively reshaping and redesigning resume formats. The new resume formats, as well as best LinkedIn company pages, are all about information delivery, but there are now many other aspects to consider, as well. Information quality isn’t the only thing that’s improved. The other thing which is improved drastically is presentation values. 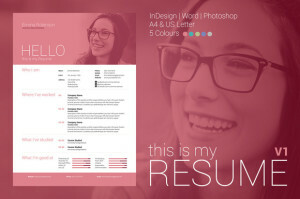 Thanks to the new “magazine” layout options, resumes are not only far more informative, they’re much better presented. Magazine layouts are effectively the same thing as conventional magazine page layouts, with one major difference. The difference is extremely important and it’s all about managing space on resumes. Using these new layouts, it is possible to use the entire page to deliver information, graphics, and other materials. Color and infographics have been in their delayed infancy for some time now thanks to the stodgy traditional employment market. Thanks to the new layouts, they are making a major impact in terms of upgrading and improving resume presentation and performance. Let’s be clear about this – Color and infographics are not gimmicks. They deliver information very effectively, and I also add a very strong professional touch to presentation. The old black-and-white resumes really were quite pathetic in terms of visual values, and there is absolutely no reason to believe that this tired old formatting ever delivered anything of any value to anyone in terms of finding a good employee. The new resume models are also delivering much easier to manage information simply because they are so much more efficient. New application tracking systems and better layouts have reduced the need for cumbersome documentation. This is a major positive for both job applicants and employers, eliminating a lot of bureaucracy. Interestingly, recruiters are also benefiting from this much more pragmatic and practical approach to resume formatting. Sticking to core skills, qualifications, and targeting resumes is the simplest and easiest way to manage the recruitment process. Very much part and parcel of the new resume layouts, styles and formatting is a strong emphasis on managing information. Infographics, for example, are only part of the story. These new resume assets need to be integrated effectively and clearly defined in the new resume environment. To give an example – An infographic relating to sales performance is a very high value asset on any resume. If you’re a professional sales person, this really is your stock in trade, and performance figures really do matter very much in terms of making your resume competitive. Conversely, your infographic needs to be put in context with the job criteria, your work history, and all related skills involved in your job application. As you can see this is very much an integrated approach, managing information, and providing clearly defined, relevant materials for readers. Another option which is now very popular as well as very practical is the use of the stand out text boxes, sometimes called callout text boxes. These text boxes are used to present and isolate specific pieces of required information while managing space very efficiently. One of the most important issues for resume composition is managing space. Although the new resumes do require less space, it’s mainly because they can manage space so much more effectively. This can be a serious problem for people who have a lot of experience and a lot of information they can use on their resumes. Fitting at all in can be difficult, and the other major problem is that organizing this information is also a potential problem. Separating different information into clearly distinguished boxes is actually now considered best practice. This approach also makes managing this information a lot easier to work with. Drafting is simple and targeting, and editing resumes becomes much more efficient. It’s easy to manage these smaller areas of information and tale of them to the requirements of the job. Thinking of upgrading your resume for 2015? Your upgrade will not be just a rewrite; it will be reformatting and restyling exercise. It is strongly recommended that you take the time to browse the new resume formats and consider the values of the new resume styles and presentation options. The good news is that your new resume really will be much better than your original. Even if you use basically the same information, you will soon see that you now have more space and more options to provide more and better information that your job applications.